B's Beauty and Books: Book Review: Debt Inheritance (Indebted #1)!!!! 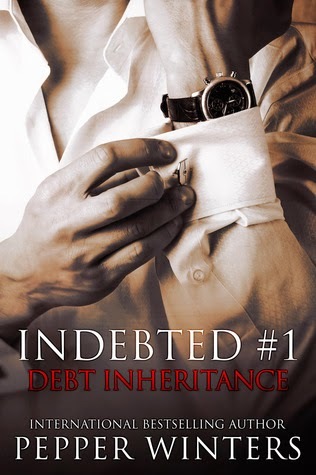 Book Review: Debt Inheritance (Indebted #1)!!!! Nila is a woman who has played the good girl role her whole life, partly because of an overprotective family & partly because she doesn't want to be bothered with love. She has launched a successful career and suddenly all of that is up in smoke. I love her feisty attitude and never say die mentality, even when she is faced with a really dark reality she continues to fight. I really love her. Jethro, or Jet as he is later known, is collecting a debt. A debt that Nila hasn't even racked up herself. He is ruthless and cruel and somehow unaffected by little things like emotions and tears. He is the kind of man you want to hate, but there is something about him that makes him incredibly intriguing. Our poor Nila is fighting so many different emotions and her attraction to the cold Jethro is just one of many. This book is not a standalone. It is a story that will keep continuing for at least another book. It does end with you wanting and needing to know more. But let me say, this journey is dark. It made me feel like I was suffering from claustrophobia with all she had happening to her. I felt trapped in a world that was so incredibly hopeless that I came close to tears on more than one occasion. This is Pepper's way, and if you are brave enough to ride the darkness out, there is bound to be light. I loved it, I need book 2 like yesterday, and I highly recommend anything Pepper Winters writes! I give this 5 lipsticks!!! !